Musings of a Museum Fanatic: Hats, Hats, Hats!! My plan was to surprise you with my awesome work on my closet with my nice new hangers but alas I had to end up ordering them from online instead of getting them in the store wah wah. Kevin picked out a movie for us to watch and he decided on Clueless. Yup he picked that all by himself. Obviously I said yes! One of my favorite parts of the movie is Dionne's various crazy hats. I love hats. It's just another reason that I really think I need to move to the UK. Seriously look how crazy fabulous those hats are? I might be able to pull off the white one probably not the crazy printed red one. 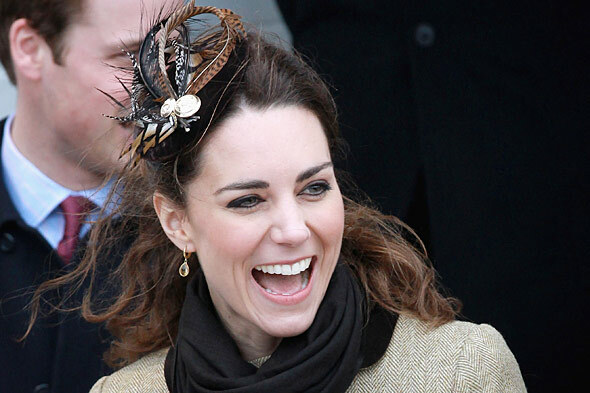 Kate is especially why I wish hats were big here. She just looks fabulous in all of them. These are two of my favorites. I don't know what it is about hats but I feel like it just makes any outfit look so much more fabulous and sophisticated. As bloggers I feel like we should really make hats as a fashion statement happen!! Not just hats but awesomely fabulous fascinators as well. Look at all of these cute hats and fascinators!!! I wonder how they would react at work to me walking in with the cute little top hat haha. Even though my wardrobe is sadly lacking a fashionable hat I do have a fun cowboy hat from Nashville that has made multiple appearances ... I should probably look more into the Kentucky Derby which is the end all be all of American hat wearing. I think it might be my new goal to find a cute hat ... after I clear out the closet a little more of course! I love the hates! That is def. on my list of reasons to leave the US.